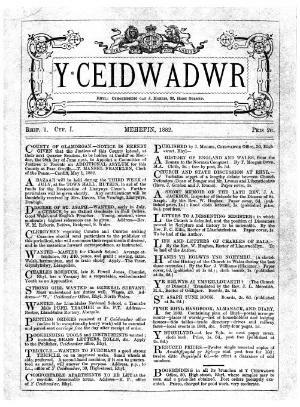 A monthly Welsh language political periodical serving the Conservative Party. The periodical's main contents were articles on politics, alongside church news and poetry. No information is available as to the identity of the editor, but the periodical's poetry editor was the cleric, eisteddfodwr and hymn-writer, William John Morgan (Penfro), 1846-1918.